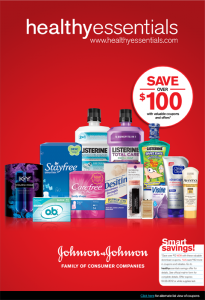 First, we’ll have over $100 in Johnson & Johnson coupons in the upcoming 10/28 Smart Source Insert. There are also tons of Johnson & Johnson printables on the Healthy Essentials website. Finally, the are still offering $90 in coupons by mail with a $50 purchase of participating products when you send in the receipts. 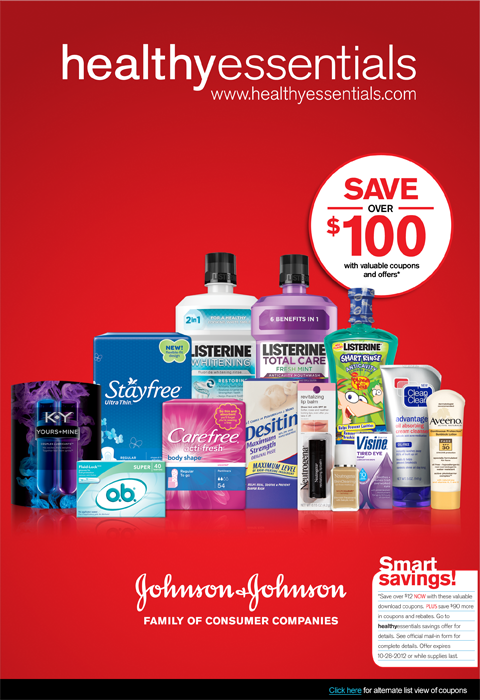 Don’t miss out on these chances to build up your coupon stash so you are ready for the big scenarios at the drugstores!